You must have seen your Hollywood celebs carrying different tattoos. But did you realize that some of your favorite celebs have got inked with ‘Desi’ tattoos? 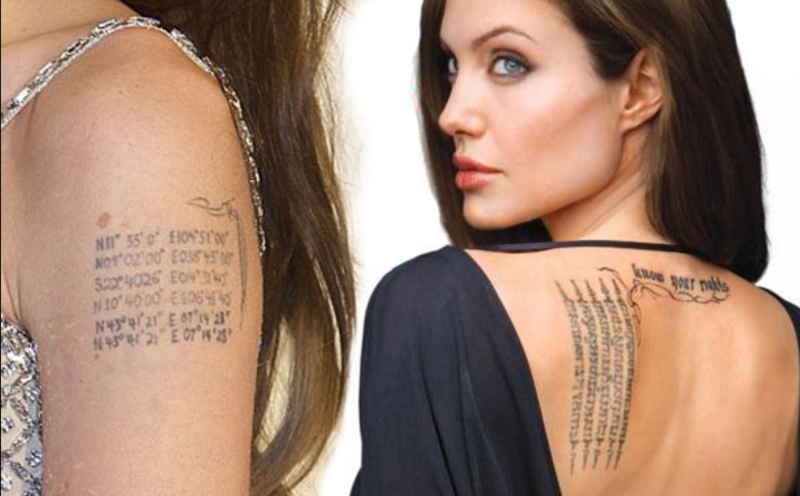 Take a look at these 5 Hollywood celebs and their Desi Tattoos. Tattoo Description: She has got a tattoo on her wrist that says, ‘Padma’. 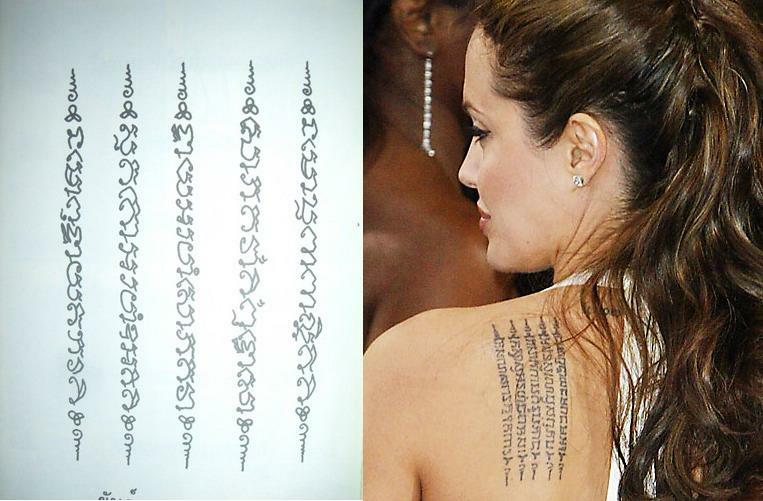 Yes, the word, ‘Padma’, inked on Jessica Alba’s wrist is the Sanskrit word. This word when translated means lotus that symbolizes the exquisiteness of someone who has risen above the complications and distractions of life. Like the lotus floats above the lake which are gloomy, but still, retains its beauty. Tattoo Description: She has got inked with a verse in Pali. May your enemies run away from you. Where you may go, many will attend, serve and protect you, surrounding you on all sides. If you acquire riches, may the remain yours always. Tattoo Description: A beautifully made tattoo of the word ‘Om’. So, what’s different with the word ‘Om’? Well, apart from the fact that this is a powerful word. Another thing that makes it all the more beautiful is the way it has been made. So, when she joins her hand (like we do Namaste), the word Om is seen. Tattoo Description: She has got inked with the word ‘Abhay’, above her right ankle. This Pitch Perfect star has inked, ‘Abhay’ above her right ankle. The word ‘Abhay’ means someone who is without fear. Tattoo Description: Adam Levine have a lot of tattoos and one of them is the word ‘Tapas’. 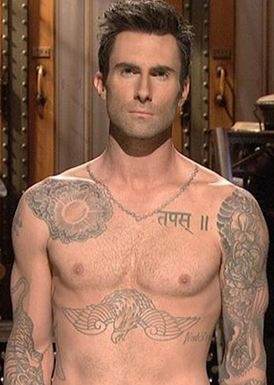 This word ‘Tapas’ is above Levine’s left pectoral. So, what’s the meaning of the tattoo? As per him, it meant,‘inner fire or determination towards Yoga or any other practice’.